What do Apple, BMW and our mentor institute IIM Bangalore has in common? If you haven’t guessed it already, it is the Brand Image. These are also brands which emphasize quality over quantity. The sense of belonging that these brands inspire and the image that they conjure up in the minds of the non-belongers (if there’s such a word) is awe-inspiring. We should not err in misjudging such loyalty and envy as mindless fawning fanboyism as the market-value of these brands are proof enough to implore us to make our brand-value the topmost priority. How does one project the brand “IIM Tiruchirappalli”? Considering we are still fledglings of this vast and dynamic field, so I will not be presumptuous enough to suggest what we ought to do, rather I shall just try to articulate what I feel are important for our brand. A brand image has a lot of elements to it. We have successfully overcome the initial hurdle and got ourselves a meaningful logo which is not just unique but has a retentive quality. This is the fundamental mistake committed by most educational institutes when they choose to overcomplicate their logos by riddling them with books, landmarks and whatnot. The logo must be concise, meaningful and simple enough to leave a mark. Most of us can remember the Apple Logo but how many of us can really remember their earlier efforts? Study of Apple’s history is a study in marketing-excellence and it is a credit to the creators of our logo and the vision of our director that we have a really memorable logo. So now that we have started off on the right note, we can focus on the rest of stuff that make a brand so memorable like a clean, accessible website, the catch-phrase (ours is ज्ञानं अनन्तं and is again, very well done), etc. We must understand that we can ill-afford the kind of monetary power (for market research) displayed by Microsoft when they carefully chose to rebrand their hands-free motion sensor as “Kinect” from initial fan-favorite working title “Project Natal”. The result? Having sold 8 million units in its first 60 days on the market, Kinect has claimed the Guinness World Record of being the “fastest selling consumer electronics device” (http://en.wikipedia.org/wiki/Microsoft_Natal ). Of course it would be folly to assume that a mere change in moniker would result in record-shattering sales. The product in itself must be of the highest class. This is where we come in. We are the product. Ultimately how our brand performs hinges upon the quality we bring to the table. Slowly but surely all the pieces are falling into place. We have all the tools and a pool of experts to rely on, so (despite the lack of WiFi and such), we are very well placed to cash in on the brand “IIM Tiruchirappalli” and this should be the focus of all our future endeavours and I believe we have a motivated bunch of over-performers and maniacs to make our brand a resounding success. After all it would be sheer madness if we aspire to be anything short of extraordinary. P.P.S. 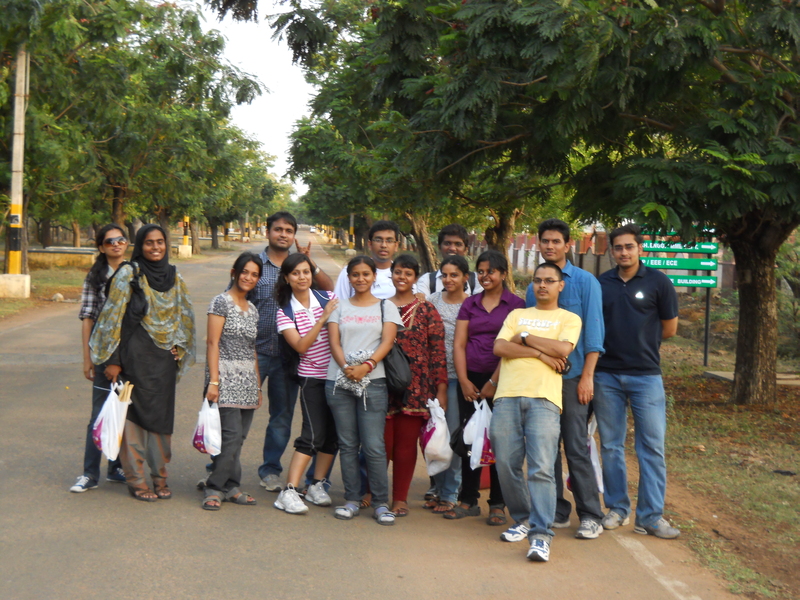 I must apologize for the same old group pic as I don’t have a pic of all the members of IIM Trichy. Well… on the contrary the time constraint seems to have had a positive effect….according to me; this one has definitely bettered the previous ones…! Thanks Sayali, you’re very generous, but I meant I wanted to delve into more details about the topic. I look forward to posts from you. Thanks Vaibhav! it’s my sheer pleasure to receive such flattering comments.